Camp Hale as seen from an EcoFlight flyover sponsored by Conservation Colorado (Kristin Williams, Vail Resorts photo). U.S. Sen. Michael Bennet hopes to “as soon as possible” introduce a Senate version of the Continental Divide Wilderness and Recreation Act floated in the House by U.S. Rep. Jared Polis, D-Boulder, adding a proposed 30,000 acres around Camp Hale as a first-ever National Historic Landscape. That new designation, which isn’t in the current Polis bill, would not close the Camp Hale area off for any of its current multiple uses, including motorized travel and mountain biking, according to plan proponents. 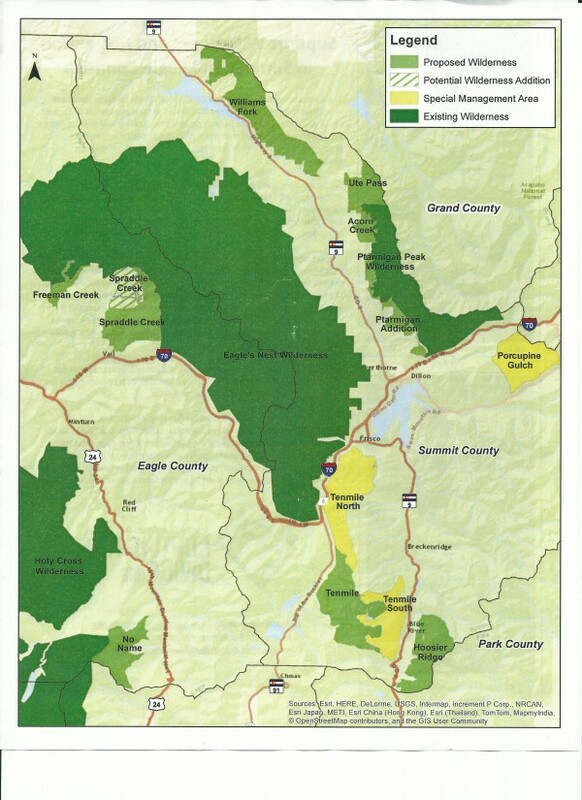 The Polis bill already seeks to protect 40,000 acres of public land in Eagle and Summit counties as wilderness – adding to the Holy Cross, Eagle’s Nest and Ptarmigan Peak wilderness areas — while designating another 15,000 acres of the Tenmile Range in the White River National Forest as special Recreation Management Areas to allow for mountain biking. Both the Polis proposal and the Bennet plan would not close any areas currently open to the public for motorized access, and both have the support of a wide range of recreation groups, local governments and businesses, including Vail Resorts. All of the lands would be protected from extractive uses such as oil and gas drilling and mining. “[Sen. Bennet] has been working with stakeholders since announcing his plans to draft a bill last August,” Bennet Deputy Communications Director Philip Clelland told RealVail.com. “He plans to introduce a bill once we’re sure that we have a draft that will have broad community support. The Camp Hale proposal, according to advocates from Conservation Colorado, brings in a great deal of support from veteran’s groups, further broadening the appeal of the overall proposal, which has been in the works for more than six years and dates back to the controversial Hidden Gems plan. That proposal would have added more than 340,000 acres of public land to the federal wilderness inventory and included parcels in Pitkin and Gunnison counties. A separate Gunnison Public Lands Initiative is taking a different approach in the 3rd Congressional District, which is represented by Republican Scott Tipton, R-Cortez. The Continental Divide proposal is all in Polis’s 2nd Congressional District, and the Boulder Democrat has been pushing hard for a hearing on the bill before the House Committee on Natural Resources, which he serves on. “Congressman Polis’ bill appears to offer many regional benefits,” said former state Sen. Gail Schwartz, a Democrat challenging Tipton in CD3. “It would protect some of Colorado’s most iconic landscapes and contiguous habitat through the wilderness designation. Schwartz, who used to represent the state Senate District 5 seat now held by Vail’s Kerry Donovan, added that both the Polis process and the ongoing wilderness working group in Gunnison County, where Schwartz lives, are models of building consensus in communities. 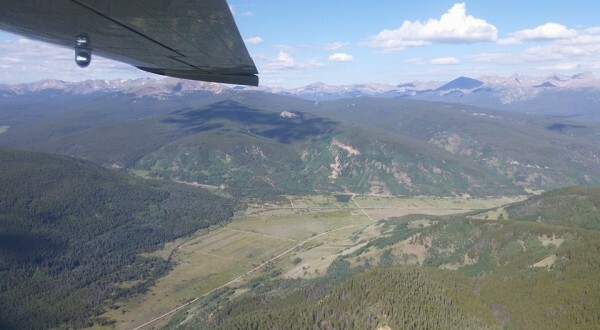 Conservation Colorado, which hosted an EcoFlight flyover of the possible wilderness additions this week, cited unanimous support from elected officials in the two counties impacted by the proposal (Summit and Eagle). “Congressman Polis’s bill has done a lot of that legwork and got [the bill] down to a lean fighting weight to where in the political environment we find ourselves in today it’s a competitive public lands bill because it has the right kind of support – unanimous support from elected officials in the areas it represents, a broad coalition,” Conservation Colorado wilderness advocate Scott Braden said. Eagle County Commissioner Kathy Chandler-Henry, who participated in the flyover, addressed the economic and environmental importance of wilderness protection.